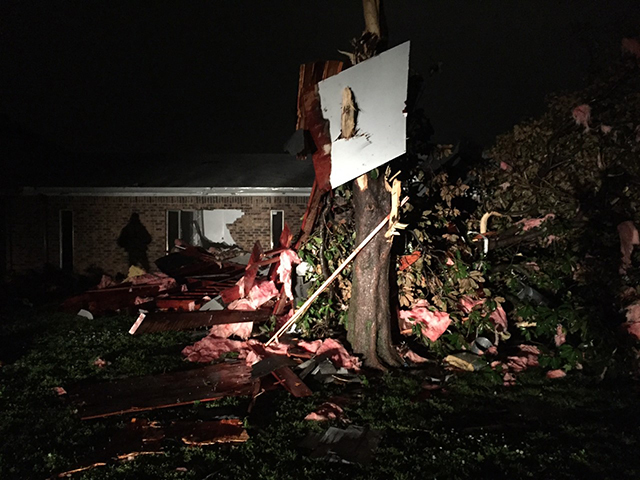 Storms hit Green Country, Oklahoma, late Tuesday evening, and left plenty of damage in its wake. Heidi Tindle said she was playing games and watching out their front window when she saw a bright flash, heard a loud thunder clap and then a big crash. 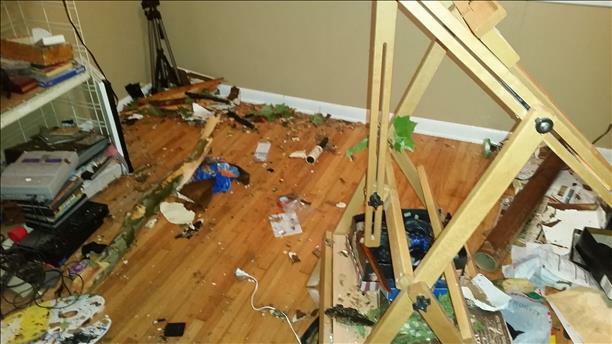 Lightning struck a tree outside and it fell on her house. Heidi said she and her puppies took shelter in the hallway and that everyone is ok. The damage was done to a spare bedroom so they weren't displaced for the night. Tina McClintic sent us this picture of a big tree limb that snapped and landed on a car, breaking the windows. Mobile Meteorologist Jon Haverfield reported trees down and damage to a bank. His report can be watched in the player above. Elite storm chaser Dennie Brison tweeted damage in the area as well. 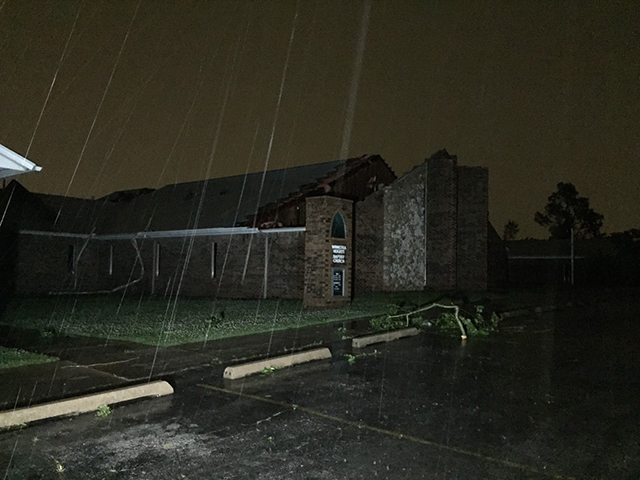 2 Works for You multimedia journalist John Guthery reports this damage to the Winnetka Height Baptist Church.